The slide switch is a small switch located on the right side of all Apple iPad devices, just below the “volume” buttons. The original use of the slide switch allowed users to lock or unlock the screen orientation of their devices. An iOS update changed the functionality of this switch to act as a “mute” button, which many users were unhappy with as the device already has dedicated volume buttons located on the exterior of the case. While the slide switch is still a “mute” button by default, recent iOS updates have allowed users to actually change the functionality of this button to better match their specific needs. Turn on your iPad (if it isn’t currently powered on). Reveal your device’s “Home” screen by activating the horizontal slider bar with your finger. Once you see your “Home” screen of icons, tap “Settings” to continue. Look towards the center of the column on the left side of the screen labeled “Settings.” An option labeled “General” will appear in this portion of the window. Tap “General” one time. The “General” sub-menu is also the one that can be used to control your network and Bluetooth settings, your Wi-Fi sync settings, your sound settings and more. Choose a function to assign to the slide switch on your Apple iPad. If you want your slide switch to lock and unlock your iPad’s rotation, tap the option reading “Lock Rotation.” Tap the option labeled “Mute” to use the slide switch to control the volume. A check mark will appear next to whichever option you choose. Use the slide switch to test out your new settings. If flipping the slide switch causes an “Orientation” icon to appear on screen, you can now use the switch to control whether your orientation is locked or unlocked. If a “mute” option appears on screen your slide switch will now control the volume. You can adjust the functionality of the slide switch at any time by returning to this screen. It’s incredibly useful if you want to make your iPad a little more user friendly, a little less sensitive or a little more sensitive! 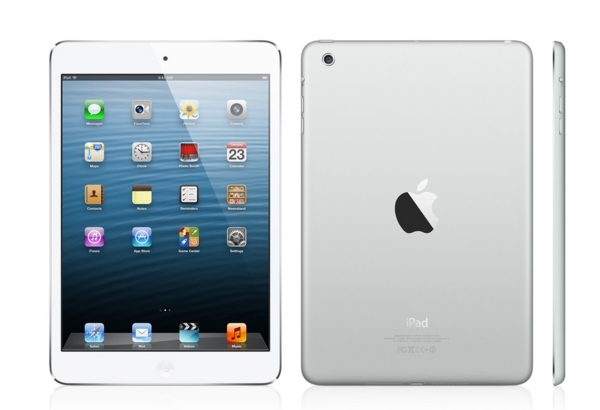 Sam Jones, the author, has been researching ipad 3 deals and is anxious to get his hands on one.